Old friends and actors, both Shah and Azad have previously worked together in theatre productions and even films, but Shah toyed with the idea of a music project when he heard Saba sing. â€œThis was a couple of years ago when I first heard Saba at a late night jam at a friendâ€™s house. She has a remarkable voice â€“ soulful with a jazzy vibe. I wanted to get her to try a vocal style that was different from her soulful styleâ€¦ a little grimy and dirty,â€ says Shah, who is also the frontman of the seven-member funk rock band The Pulp Society. 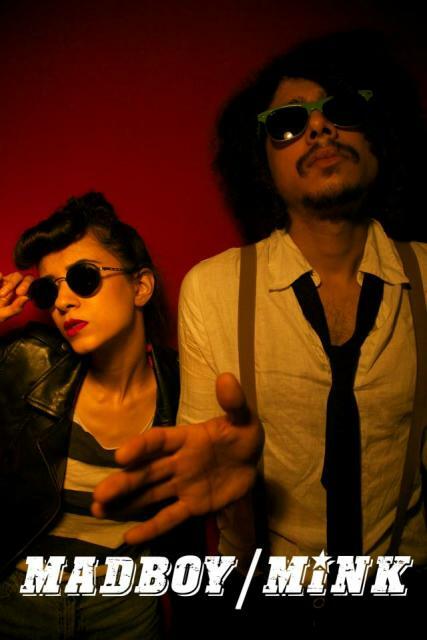 Ahead of their debut gig in Delhi this weekend, Shah and Azad are working on their debut untitled EP, which they plan to release in January 2013. The project in fact has been a work-in-progress for a while now. In songs such as the French electro sounding â€œPimp The Discoâ€ on the EP, Azad turns rapper and on â€œLemonadeâ€ Madboy/Mink explores a mellow, classic funk sound.Â Azad has also taken on production duties on the EP. â€œSheâ€™s good with software and chopping off samples,â€ adds Shah. Madboy/Mink hope to bring in horn players on the EP. â€œHorns are a big part of funk. So far, Iâ€™ve been programming the horns on the computer, but we are not happy with the sound, so we may get some buddies who are horn players into the studio to record a live horns section. That would be amazing,â€ he adds. For their stage debut at Cocaine in New Delhi, Shah will bring his guitar along. â€œItâ€™s a live set. The guitar and synth are a major part of my sound. Saba will run Ableton Live and sing and process her vocals, while figuring a bunch of midi samples,â€ he says.